Remember back around 2009 when Betty White was the hottest thing since sliced bread, who had actually been born before the popularization of sliced bread? 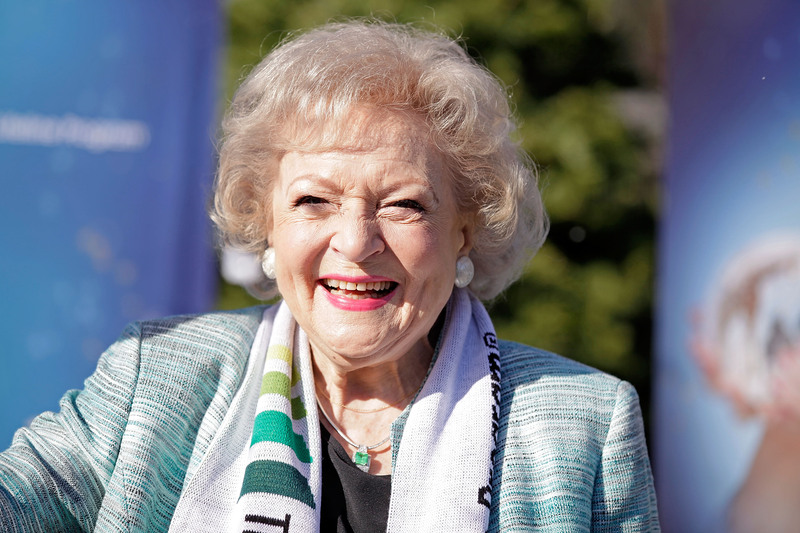 Well, the golden years of her comeback may be over, but Betty White is still around being generally great. One of her more recent shows of greatness included a Reddit AMA, in which White provided insight into a few moments in her long (long) tenure in Hollywood. She also threw out the idea of Chris Rock playing her in a biopic, because she's Betty White and regularly delighting the public just seems to be a biproduct of her existence. Lucy was one of my dearest friends. Our mothers were both best friends. She was dynamite. Everything you saw was what you got. We used to play backgammon, and she used to teach me the game but she used to move the pieces so fast. I used to say how are you teaching me if you move the pieces so fast and she would say I want to win! A day in my life is up at 6:30am, usually either appointments or working at home before filming. I go to work and come home, catch up on mail, to bed about midnight. I would love it if it were Meryl Streep or Julie Andrews but they would probably cast someone like Chris Rock. So many... being washed off the table during a flood scene. It was during a horrendous rainy season flood we were having here in LA. Johnny and I were sitting at a cafe table on stage and a ton of water came pouring out washing us off the stage! The producers said, pretend it washes you away. Pretend?! It was 500 gallons! It's been said before and it will be said again: Betty White is a national treasure. Sometimes you just gotta sit back and let a national treasure tell you about their long, eventful life. Plus now I know that Betty White's favorite movie is Out Of Africa. I don't know what I'm going to do with that information, but now I have it. You can read the rest of the AMA over on Reddit.